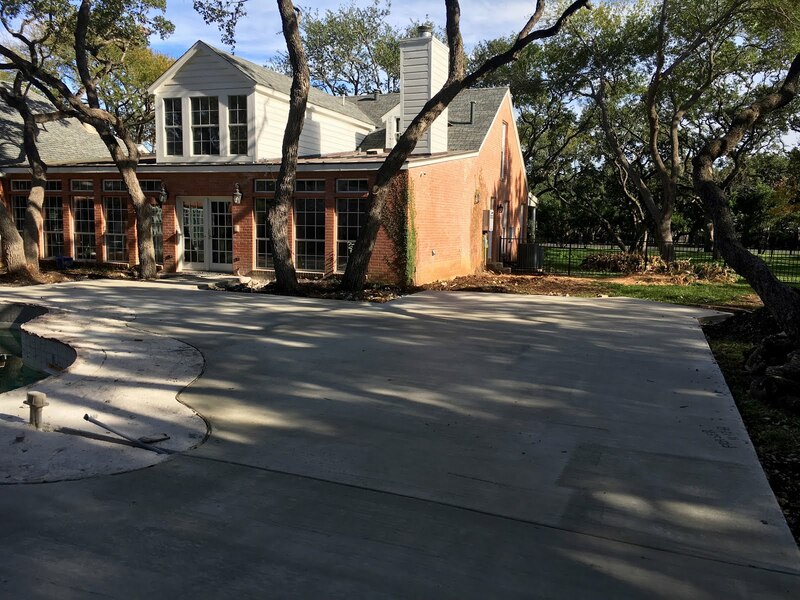 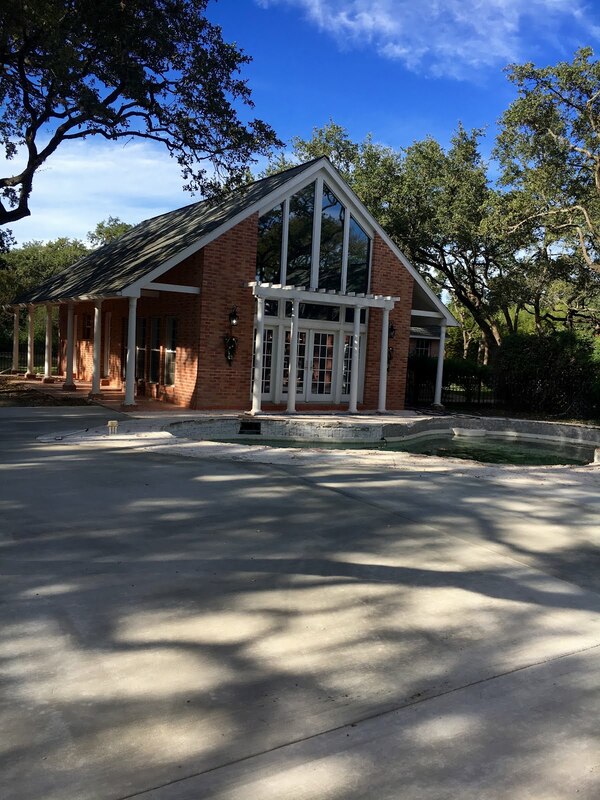 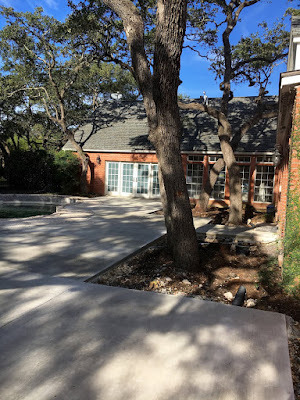 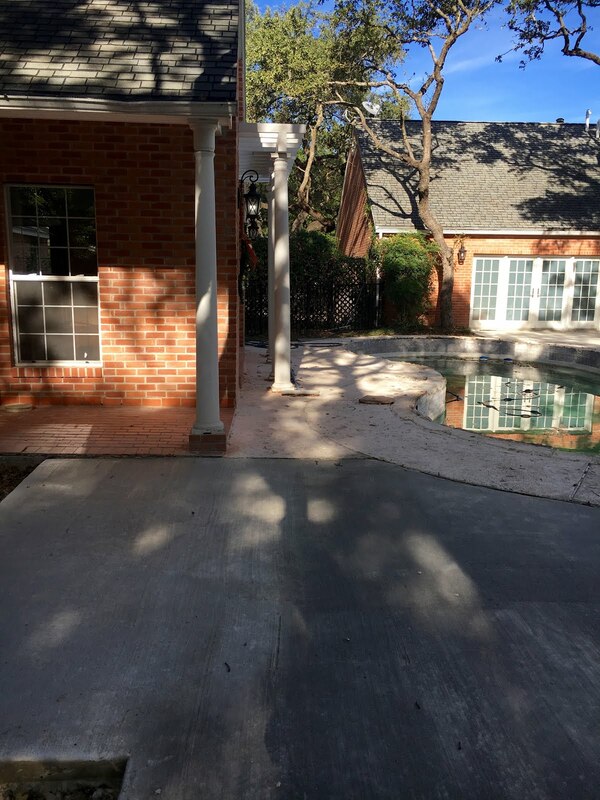 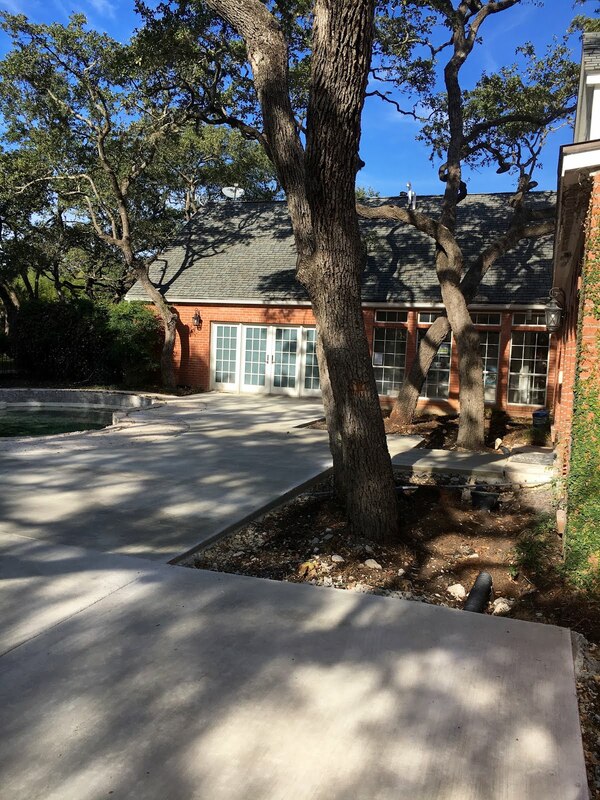 On Friday, the contractor poured the concrete for our new and improved patio space between the main house and cabana. 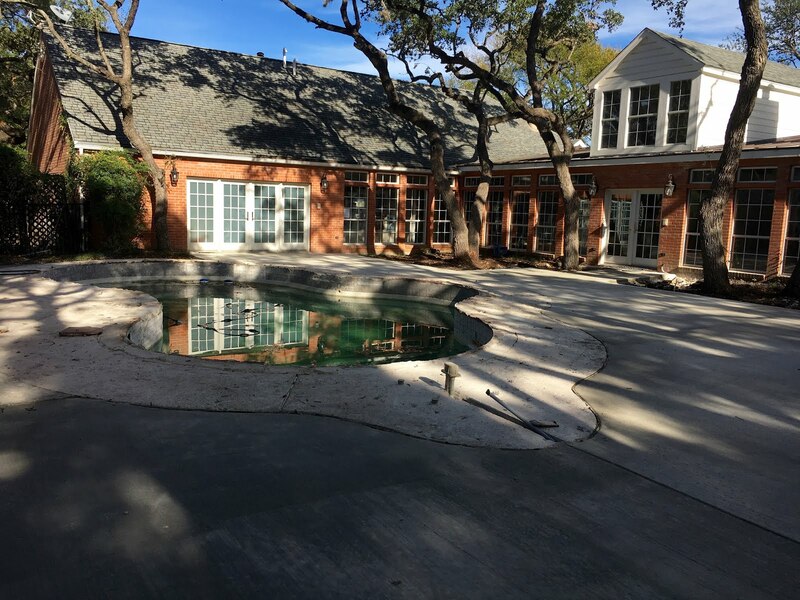 In the midst of this clean slate is the sad looking pool. It's getting new tile, so it will have to look pitiful for a bit longer until it can be acid washed and then get refilled. I'm looking forward to a fresh start with the chemicals.